A 7-year-old boy presented with a history of intermittent, alternating eye crossing for one year that had become constant in the past 2 months. As the angle of deviation gradually increased, his parents also noticed that his pupils were larger than normal. He had worn hyperopic correction since the age of 3 but recently switched to myopic glasses. He had no history of patching for amblyopia or prior eye surgery. An MRI brain with and without contrast was performed to evaluate for intracranial pathology; this returned unremarkable. Due to the change in cycloplegic refraction from low myopia to low hyperopic astigmatism, his myopic glasses were discontinued. He had excellent visual acuity without correction. His mydriasis was considered to be secondary to methylphenidate. At a six-week follow-up, he had adopted a large but variable chin down head position of up to 55 degrees. Alternate cover testing without correction is shown below and demonstrated a V-pattern esotropia with 8-10 prism diopters (PD) of ET in up-gaze, 30 PD of ET with distance fixation, 35-40 PD of ET with down-gaze, and 20 PD of ET with near fixation. He had a small left hypertropia (LHT) with 25 PD of ET on right gaze and a flick of right hypertropia (RHT) with 35 PD of ET on left gaze. He also had mild abduction restriction of the left eye and slight overaction of the inferior oblique muscles in both eyes. Due to the change in his measurements, a full neurologic evaluation was performed and acetylcholine receptor binding antibody to test for myasthenia gravis was drawn. Neurologic examination, review of systems, and laboratory testing were all normal. At his ten-week follow-up, his exam had stabilized with 40 degrees of chin down head positioning and a V-pattern ET with 35 prism diopters PD with distance fixation and 40 PD with near fixation. He still had no measurable stereopsis and continued to alternate suppression at near, as measured by Worth 4 Dot. He was treated for acute non-accommodative ET with botulinum toxin injection under general anesthesia. Five units of botulinum toxin A were injected into the bilateral medial rectus muscles using the closed conjunctival technique. He had a brief episode of right upper eyelid ptosis the week after surgery, but this resolved quickly and completely. Motility and strabismus testing at post-operative week one demonstrated an alternating exotropia (XT) of 45 PD with distance and near fixation in addition to a bilateral adduction deficit, as was expected. At his two-month follow-up, the patient had stereopsis and fusion. His motility was full, and he had a small XT at distance and a flick of XT at near. By post-operative month three (Figure 1), the patient had an esophoria (E) of 5 PD with full motility, stereopsis, and fusion. His excellent alignment is shown at post-operative month five (Figure 2) and maintained at his most recent visit, one year post-operatively. Figure 1. Gaze photos demonstrating excellent post-operative alignment in all gazes three months after bilateral medial rectus botulinum toxin injections. Figure 2. This patient achieved excellent alignment, shown at post-operative month five and maintained through one year post-operatively. A 5-year-old girl presented with sudden onset of blurred vision, right eye crossing, and diplopia for three weeks. Two days before her symptoms began, she hit her head on the playground without loss of consciousness or other neurologic symptoms. A head computed tomography (CT) and brain MRI with and without contrast were performed in the emergency department at that time, and these studies were negative for intracranial pathology. Parents reported that her first episode of right eye crossing occurred twelve months prior to presentation and lasted for one week before completely resolving. No MRI was done at that time. Her parents also recalled that she very rarely had intermittent crossing when she was tired. Treated prophylactically for Lyme disease at the time of diplopia onset despite negative serologic testing. She had no symptoms or signs of Lyme disease. The patient's ET did not improve with full cycloplegic correction. She developed a decrease in visual acuity of one line in the right eye at six- and ten-week follow-up visits. Fresnel prism of 35 PD was tried at six weeks to help with her diplopia, but this was promptly discontinued due to worsening depth perception, especially while playing T-ball. Serial neurological exams did not reveal any cranial nerve palsy muscle weakness or restriction. The patient was treated for non-accommodative ET with botulinum toxin. Five units of botulinum toxin A were injected into each medial rectus under general anesthesia. Similar to case 1, she had a moderate XT at the one-week post-op, and this gradually resolved. Her visual acuity equalized, and the patient also had an improvement in stereopsis and binocularity over time. At her six-week (Figure 3) and ten-month follow-up, long after direct action of the toxin had ceased, she had an intermittent ET of 5 PD with distance fixation and 3 PD of esophoria at near. Her motility was full OU. Figure 3. Nine gaze photos demonstrate the patient's excellent alignment in all gazes at post-op week six. All three types of acute non-accommodative ET, especially the Burian-Franceschetti type, may be related to physical or psychological stress [2-4]. The etiology of Swan type is thought to be a result of monocular artificial interruption of fusion secondary to patching for amblyopia treatment, ptosis, corneal abrasions, visual loss in one eye, or uncorrected hypermetropia . Burian-Franceschetti type may often present with diplopia despite there being no underlying neurological cause . Bielschowsky type is thought to be caused by a spasm of convergence in the setting of uncorrected myopia leading to increased medial rectus tone, and this type has been associated with smartphone usage in adolescents . Both of the cases presented here are fitting with the Burian-Franceschetti type. Prior to epidemiological evidence, the prevalence of acute non-accommodative ET was thought to be quite rare ; however, recent evidence suggests this is not the case. In a 10-year retrospective population-based cohort study that tracked incidence of cases of childhood strabismus, acute non-accommodative ET was identified as the third most common type of any strabismus, after accommodative ET and intermittent XT; this study suggested acute non-accommodative ET is significantly more common than congenital ET . The prevalence was estimated at 1 in 287 live births through a 30-year retrospective chart review of a population-based cohort . Of all patients with ET, 16.6% were reported to have the acute non-accommodative type . Acute ET can be caused by intracranial pathology, so a full workup is necessary to definitively rule-out such causes. A thorough history regarding duration, neurological symptoms, and ocular history should be obtained. Most patients with acute non-accommodative ET present with acute eye crossing and symptoms of diplopia in the distance. The angle of ET ranges from 16 to 70 PD , and most patients are stable with comitance in horizontal gazes. Any lateral incomitance should increase suspicion of a cranial nerve palsy, Duane's retraction syndrome, or myasthenia gravis. Additional lab testing (e.g., myasthenia gravis labs) may be necessary. CNS neoplasms are relatively uncommon compared to acute non-accommodative ET, but an MRI brain with and without contrast should be promptly ordered if any abnormal neurological sign or symptom is present . For all cases, frequent follow-up exams should be performed to determine measurement and prescription stability, as well as to monitor for development of amblyopia. For acute non-accommodative ET, treatment options include botulinum toxin injection (i.e., chemodenervation), strabismus surgery, prisms, and observation. The usual recommended treatments are botulinum toxin and strabismus surgery due to their long-term efficacy. Successful treatment is defined as final horizontal alignment of <10 PD with binocularity based on stereo testing . Following treatment with botulinum toxin, it is common to have induced XT and ptosis, as seen in both our patients. The XT gradually resolves over two months . As with both of the patients presented above, botulinum toxin injections for non-accommodative ET can result in excellent alignment, return of binocularity, and balanced visual acuity. If ET does return, these patients may benefit from additional botulinum toxin injections. Botulinum is a neurotoxin derived from the gram-negative anaerobic bacterium Clostridium botulinum that interferes with acetylcholine release from peripheral cholinergic nerve terminals . Botulinum toxin A was used in this case because out of the seven known botulinum serotypes, Type A is the only serotype that has been extensively studied for the use in strabismus and has been deemed safe and effective . Botulinum toxin has a direct effect on the neuromuscular junction for only three months , yet a 2012 Cochrane review suggests that botulinum toxin has long-lasting effects in children with one or two injections needed for permanent alignment stability . The exact mechanism leading to long-term ocular alignment after botulinum toxin injection is not fully elucidated. However, it is thought that these injections allow physiologic correction instead of an anatomic correction . Other mechanisms of action of botulinum toxin include the reversal of fibrosis and contraction in a tightened muscle, permanent lengthening of the antagonist muscle microscopic neuromuscular junction changes, myofibril remodeling, and reestablishment of binocularity . When administering botulinum toxin in the operating room, the surgeon identifies the muscle insertion, grasps the muscle through the conjunctiva with forceps, and injects into the muscle belly. The botulinum is prepared with 100 units of botulinum toxin A concentrated in 1 cc; exactly 0.05 cc (5 units) of this solution is injected into each muscle. Based on clinical impression, this concentrated dosing appears to reduce the spreading of the toxin, limiting the prevalence of ptosis . There are multiple manufacturers of botulinum toxin A and a variety of dosages employed, yet there is insufficient clinical trial data comparing the relative efficacy of different dosages or different manufacturers . In light of this, some experts agree on 5 units per muscle for all patients to achieve maximal effect [6, 12]. Electromyography (EMG)-guided botulinum therapy may be helpful for patients with a history of prior strabismus surgery for which scarring may make it difficult to locate the muscle. Using an EMG-guided needle, the surgeon can locate the muscle more accurately penetrating the muscle posteriorly closer to the nerve insertion. When compared to strabismus surgery, advantages of treatment with botulinum toxin include shorter operative procedure of 5 minutes per muscle vs. 71 minutes average, decreased time in post-anesthesia care, lower healthcare costs, low risk of over correction, low risk of scarring, and minimal post-operative pain . The success rate of botulinum toxin vs. strabismus surgery is not significantly different, and surgeons are generally more comfortable treating earlier with injections compared to traditional strabismus surgery . Disadvantages of botulinum use are risk of muscle atrophy, temporary ptosis, temporary induced exotropia, lower effectiveness in large angle strabismus or patients with no binocular capability, cost of the medication, and less precision given no dose recommendations based on angle deviations [12, 15]. It is also not effective for large angle ET when used alone [5, 6, 13]. After botulinum injections, post-operative alignment may take approximately six weeks to stabilize; this is slightly longer than seen with traditional surgical intervention. Side effects of botulinum toxin injections, especially at higher doses, include ptosis, subconjunctival hemorrhage, vertical deviation, and induced, transient XT with diplopia. In contrast, common side effects of strabismus surgery include conjunctival injection and scarring, and less common local complications include corneal dellen, conjunctival cysts, and pyogenic granulomas . There are similar rates between the two for serious complications, including periocular infections, retinal tears, and endophthalmitis [12, 14]. Acute non-accommodative ET is a diagnosis of exclusion that often involves ruling out other neurological causes. Acute non-accommodative ET with small to moderate angles of deviation can be effectively treated with botulinum toxin injection. Botulinum toxin injection is an inexpensive therapy, requires very limited operating room time, and is a safe, effective procedure. Common temporary side effects of botulinum toxin injection include induced XT and ptosis. Burian HM, Miller JE. Comitant convergent strabismus with acute onset. American journal of ophthalmology. 1958;45. Lee HS, Park SW, Heo H. Acute acquired comitant esotropia related to excessive Smartphone use. BMC Ophthalmology. 2016;16(1):37. Campos EC. Why do the eyes cross? A review and discussion of the nature and origin of essential infantile esotropia, microstrabismus, accommodative esotropia, and acute comitant esotropia. Journal of AAPOS : the official publication of the American Association for Pediatric Ophthalmology and Strabismus. 2008;12(4):326-31. Erkan Turan K, Kansu T. Acute Acquired Comitant Esotropia in Adults: Is It Neurologic or Not? Journal of ophthalmology. 2016;2016:2856128. Dawson EL, Marshman WE, Adams GG. The role of botulinum toxin A in acute-onset esotropia. Ophthalmology. 1999;106(9):1727-30. Lambert SR, Lyons CJ. Taylor & Hoyt's pediatric ophthalmology and strabismus. Edinburgh ; New York: Elsevier; 2017. Available from: http://rx8kl6yf4x.search.serialssolutions.com/?V=1.0&L=RX8KL6YF4X&S=JCs&C=TC0001791178&T=marc. Legmann Simon A, Borchert M. Etiology and prognosis of acute, late-onset esotropia. 1997(0161-6420 (Print)). Mohney BG. 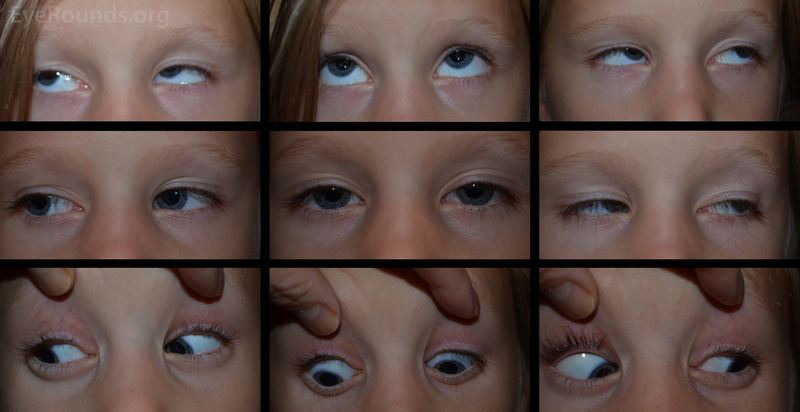 Common forms of childhood strabismus in an incidence cohort. American journal of ophthalmology. 2007;144(3):465-7. Jacobs SM, Green-Simms A, Diehl NN, Mohney BG. Long-term follow-up of acquired nonaccommodative esotropia in a population-based cohort. Ophthalmology. 2011;118(6):1170-4. Greenberg AE, Mohney BG, Diehl NN, Burke JP. Incidence and types of childhood esotropia: a population-based study. Ophthalmology. 2007;114(1):170-4. Elias I. Traboulsi VMU. Practical Management of Pediatric Ocular Disorders and Strabismus: A Case-Based Approach: Springer Science+Business Media, LLC; 2016. Wan MJ, Mantagos IS, Shah AS, Kazlas M, Hunter DG. Comparison of Botulinum Toxin With Surgery for the Treatment of Acute-Onset Comitant Esotropia in Children. American journal of ophthalmology. 2017;176:33-9. Issaho DC, Carvalho FRS, Tabuse MKU, Carrijo-Carvalho LC, de Freitas D. The Use of Botulinum Toxin to Treat Infantile Esotropia: A Systematic Review With Meta-Analysis. Invest Ophthalmol Vis Sci. 2017;58(12):5468-76. Rowe FJ, Noonan CP. Botulinum toxin for the treatment of strabismus. The Cochrane database of systematic reviews. 2017;3:Cd006499. Mahan M, Engel JM. The resurgence of botulinum toxin injection for strabismus in children. Current opinion in ophthalmology. 2017.